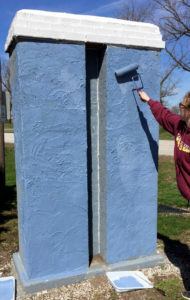 Our project consisted of giving our park a new splash of color. Lyons is a small, but mighty, community. The reason it thrives is through its people. The Brink Park is a landmark enjoyed by all so it is important to keep our community looking welcoming. 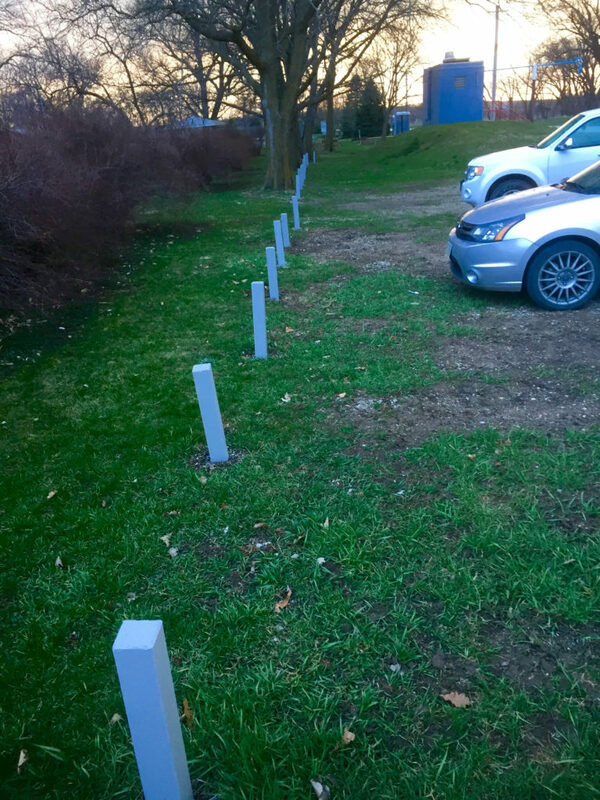 By painting the parking poles gray, which were originally red, white, and blue, we gave them a newness of life. This made our park appear modern. Also, we painted the pillars leading into the park, which is important because it is a great way to better present our town to visitors and give it an appealing look. People pass through these pillars to enter the park therefore it is of great importance to keep everything looking fresh and nice. Countless people drive by or through the park every single day. We wanted to make sure that our amazing community of Lyons was aesthetically pleasing and enjoyable for all who come. Our community has given us so much throughout our childhood and teenage years, we felt that it was only right to give back to it. 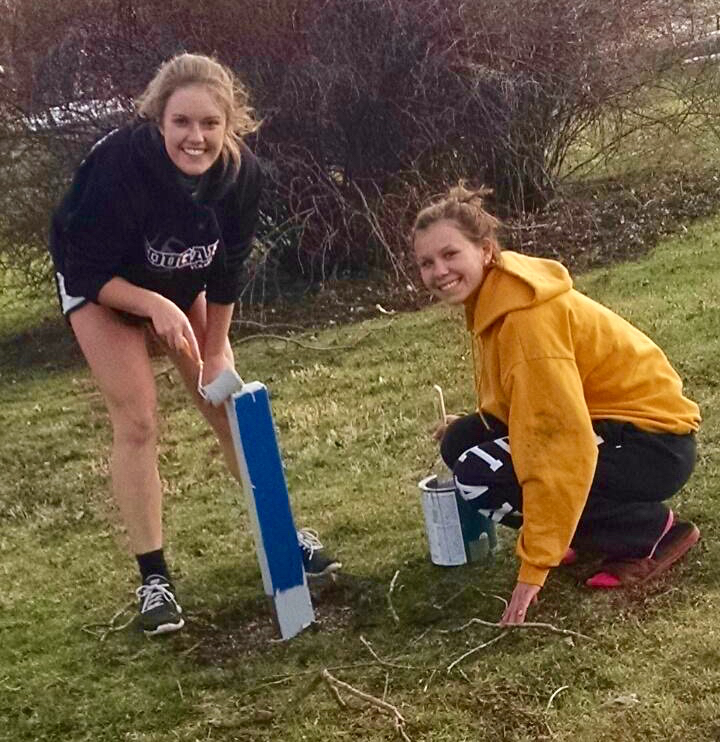 What better way to show our appreciation than simply painting in the park and making it that much nicer? In order to raise the funds needed to accomplish this project, we sold Christmas treat bags to the student body and raised over five hundred dollars. The First National Bank Northeast generously donated one hundred dollars in support of our project. There were so many people who were crucial to this project. First, we had great help from Allen Steinmeyer and Rick Coen at Steiny’s General Store. They were willing to work with us as they see the impact we have had on the community. 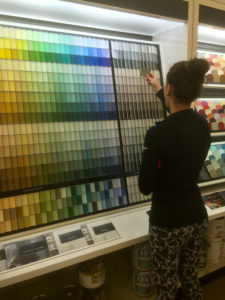 They directed us towards the best rollers, paint brushes, and any other supplies we needed. If they didn’t have these supplies Rick was more than happy to find it. The men working at the city were overjoyed when they found out about our desire to volunteer our time to improve Brink Park. They gave us all the information we needed. Our parents also supported us along the way, giving advice on when and how to paint along with taking some pictures of our efforts for documentation, followed by great help from Mr. Lahm and Jamie Horter. Another key figure that helped our project was Mrs. Sharp. She helped by advertising our Christmas treat bags all over the school. Without her, we may not have raised even close to five hundred dollars. Besides advertising, she also contributed the sugar cookies we put into each treat bag. This made the holiday treat bags that much more appealing to the student body. Some of the challenges we encountered along the way included trying to work our schedule into mother nature’s schedule. The rain, snow, and cold prevented us from painting on several occasions. Even when it was bright and sunny out, the wind became a factor in our project. 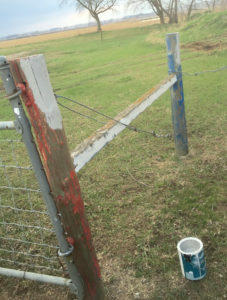 An example of this, was one of the days we were out painting, our bowl of paint nearly flipped over with the strong gusts. This would have been extremely detrimental since we had already bought the last two cans of blue paint from Steiny. We learned to check the weather in advance before planning a day to work and painted when the weather was more amiable to overcome this challenge. One of the successes we encountered during this project was our ability to get it done in a timely manner. Another success we had was our ability to work together. We witnessed a few other groups encountering disagreements and troubles along the way. For the most part, our group was efficient and worked well together. The involvement of the city workers during our project was another great success factoring into the greatness of our project. We hope the impact this project has on our community is everlasting. It shows we have pride in our town and it affects all the people that come and drive past the park. Attempting to reminisce, we could not remember the last time someone had tried to freshen up the park. Being such a small town with few other attractions available,Brink Park is one of the few places that attracts all ages and types of people. 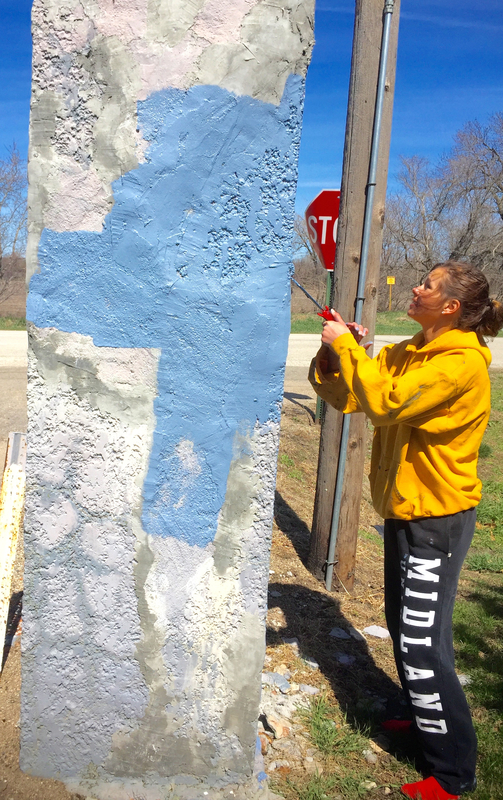 We believe that this painting job will be noticed by a plethora of citizens and appreciated by many. 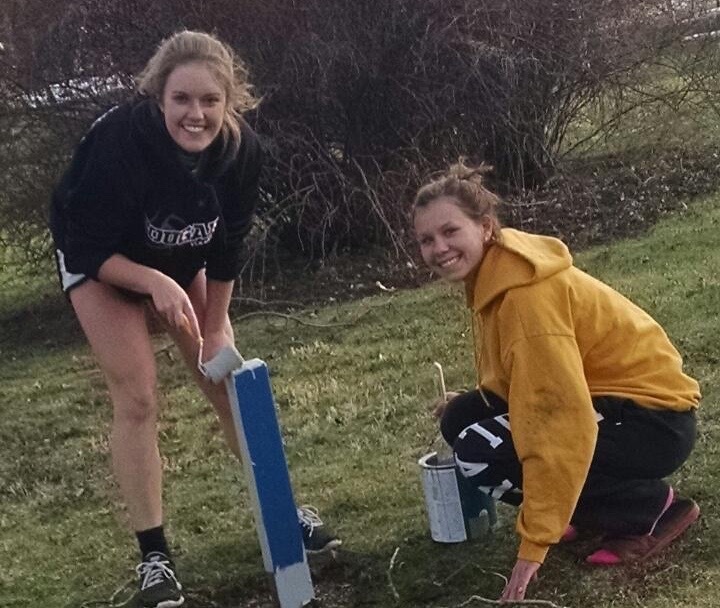 This project was a small token of our appreciation for the community of Lyons to enjoy. We hope we have met our goals! Outstanding job, girls. Looks so fresh and new. Adds to the beauty of the park.